During this COCA Call, clinicians will learn about 2018-2019 influenza activity and hear an overview of CDC’s recommendations for health care providers regarding influenza vaccination and the use of influenza antiviral medications for the 2018-2019 influenza season, including a new antiviral medication approved by the FDA in October 2018. COCA Calls offer the most up-to-date information and guidance for clinicians about key emergency preparedness and response topics and emerging public health threats. If you were unable to attend a live call, archived COCA Calls are available on demand here. Free continuing education (CE) is available for most COCA Calls. More information about free CE is available here. This page features scheduled and on-demand access to information on emergency preparedness and response training resources that CDC, other federal agencies, and COCA partners offer—be sure to check out these valuable resources! The Conference and Training Opportunities webpage has been updated to include conferences from January–December 2019. 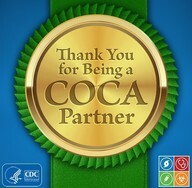 Visit the webpage to learn about conferences that CDC, other federal agencies, and COCA partners sponsor. COCA is pleased to feature the Society of Emergency Medicine Physician Assistants (SEMPA) in our January COCA Partner Spotlight! SEMPA was founded in March 1990 by a small group of former post-graduate residents. The organization was established to serve as the representative body for emergency medicine physician assistants (EMPAs) and advance, project, and promote the role of EMPAs. They achieve this mission through supporting the growth of EMPAs through education, advocacy, networking, and research to fulfill their vision of a vital, engaged and connection community of EMPAs. Partnerships with professional healthcare associations are vital to CDC’s ability to share information with clinicians about public health emergencies, CDC guidance, health alert messages, and training opportunities. To learn more about SEMPA, visit their website and follow them on Facebook. Public Health Grand Rounds is a monthly webcast created to foster discussion on major public health issues. The Grand Rounds sessions also highlight how CDC and its partners are already addressing these challenges and discusses recommendations for future research and practice. Visit Grand Rounds On-Demand to browse upcoming and previous presentations. Free CE is available for most topics. CDC TRAIN provides access to more than 1,000 courses that CDC programs, grantees, and other funded partners have developed. Courses offered by CDC course providers have been approved and verified by CDC. Kick off 2019 with a CDC Learning Connection featured training! More than 70,000 Americans died from a drug overdose in 2017. Access the latest opioid courses on TRAIN via our Hot Training Topic to learn about substance use disorders and more. Mild traumatic brain injury (mTBI), or concussion, is a growing public health concern. This National Winter Sports TBI Awareness Month- learn how to diagnose, manage, and prevent pediatric mTBI with CDC and the American Academy of Pediatrics’ HEADS UP to Healthcare Providers training. Free CE. CDC estimates that 48 million Americans get sick from a foodborne illness each year. Take the Academic Partnerships to Improve Health’s Navigating a Foodborne Outbreak course to learn how clinicians and public health professionals collaborate during a foodborne outbreak. Laboratory informatics plays a critical role in patient care and public health. Follow the journey of a specimen through the lab with CDC and the Association of Public Health Laboratories’ Introduction to Laboratory Informatics training. Free PACE credit. Sign up for our free monthly e-newsletter to stay up-to-date on public health trainings from CDC, other federal agencies, and federally funded partners. Welcome to the Clinician’s Corner! Each month we feature a CDC clinician, a clinician who has collaborated with COCA, or someone who has presented on a COCA Call. This month, we’re featuring Angela Campbell, MD, MPH. Dr. Campbell is a Medical Officer in the Epidemiology and Prevention Branch in the Influenza Division in CDC’s National Center for Immunization and Respiratory Diseases. Dr. Campbell completed her medical degree at Vanderbilt University. She trained in pediatrics and pediatric infectious diseases, and completed an MPH at the University of Washington. Dr. Campbell first worked at CDC as an Epidemic Intelligence Service officer, followed by several years in academic medicine in Seattle--before rejoining CDC in the Influenza Division in 2013. Dr. Campbell’s current projects focus on studies of influenza antiviral treatment and antiviral effectiveness, vaccine effectiveness, pandemic preparedness, and development of CDC clinical guidance related to treatment and prevention of seasonal and novel influenza viruses. 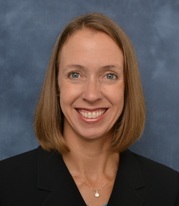 She is the Influenza Lead and Co-Investigator of the New Vaccine Surveillance Network, a network of pediatric medical centers that conducts active prospective surveillance and vaccine evaluation activities for influenza and other respiratory viruses in children. She is an Adjunct Associate Professor of Pediatrics at Emory University School of Medicine, and has a Professional Staff appointment at Children’s Healthcare of Atlanta. Be sure to listen to Angela and her colleagues discuss the "2018-2019 Influenza Season and Recommendations for Clinicians" during our next COCA Call on January 29, 2019 from 2:00 - 3:00 PM (Eastern Time). Each year, seasonal flu places a significant burden on the health of people in the United States. For up-to-date surveillance of when and where influenza activity is occurring, which influenza viruses are circulating, and the impact influenza is having on hospitalizations and deaths in the United States, view CDC’s weekly FluView reports. The Emergency Risk Communication Branch in the Division of Emergency Operations, Center for Preparedness and Response is responsible for the management of all COCA products.